On the whole, Estate Agents do a good job at helping you buy and sell houses. But they are also geniuses at squeezing every possible penny from you or making you settle for the sale that's best for them - keep your cards close to your chest and learn to spot their tricks before they pull them. It’s the estate agents’ job to create a buzz around a property. They might try to panic you by arranging appointments when other buyers are also viewing the property. Rather than working through offers one at a time, they might try to introduce “sealed bids”, which pits you against other buyers without you knowing how much they are willing to offer. Stay head-strong and don’t fall for it. All of this is aimed to push you into driving your price up much further than you can afford. So keep in mind what you can pay and stick to this – there’s no point in getting your dream home if you are then impoverished for the rest of your life. Find out the best questions to ask an estate agent. Never let them know your bottom line (if you’re selling) or your maximum price (if you’re buying). Otherwise the chances are you’ll end up having to settle for it. Avoid letting an agents’ agenda eclipse your own by shopping around to find the right agent for you and getting your property valued by at least three different people if you’re selling. Your below-asking-price offer has been accepted, the property you are buying is off the market, and it’s all steam ahead towards completion. Then the next week, the Estate Agent calls to say that someone who viewed the property previously has put in an offer a few thousand pounds above yours. You smell a rat. If you suspect this is a false bid, challenge the Estate Agent and ask to see proof in writing that this third party exists and they are willing to make a higher offer. Read what one of our members did in this situation. Whether real or hoax, being gazumped is depressing and can cost you money. There are a few options for reducing the chance of being gazumped but they cost. Some estate agents have introduced a “Good Will Charter”. Both parties pay a deposit which they will lose if they don’t go through with the sale. It’s not fail safe but it might help you weed out people who aren’t serious about the deal. Another option is a lock-out agreement whereby the seller has to take the property off the market for a limited amount of time while the deal is being completed. You will have to move quickly to get everything done before the time period is up. Discuss the pros and cons with your solicitor. Help to Buy phase 1 allows some people to get a government loan of 20% of the price of their house. This is a loan so it will have to be repaid, but some lenders advertise the property at 80% of the price, deliberately misleading Help to Buyers into thinking they are getting a cheaper deal. Also be aware there have been accusations of mortgage brokers and estate agents working closely together, openly discussing potential buyers’ budgets in order to get as much money out of the buyer as possible. So again, find out what deal they can offer while remembering that you are under no obligation to accept their mortgage offers. If your house isn’t selling maybe you need to think about changing your tactics. Your estate agent might tell you they can do more to advertise your property if you pay them more. Think hard about this: why haven’t they done everything they can to market your property already? And is the extra money refundable if you still don’t get an offer? What is the difference between a property being ‘sold subject to contract’ and to being ‘sold reserved’? I feel we should have had some form of compensation ,th current system just doesn’t seem fair. Hi Terry. If the vendor is an agent then they’ll know of lots of sales tactics. It’s quite common for vendors (whether they’re employees of an Estate Agent or not) to want to wait to see if more offers will come in. If you’d like to talk this through, please consider becoming a member where you’ll have access to the Home Helpline team who can chat through tactics with you. Best of luck in your hunt for a new home. We’ve been house hunting for a while and finally came across a house that seems just right for us., the agents have a disclaimer that the house belongs to a member of staff. Yet the “vendor” (a member of staff) has yet to accept our offer, they apparently insisted on allowing everyone who wanted to to view it and we were told the vendor will make a decision at the end of the week. Well the end of the week came and went and still no decision, we had contacted the agent via email and was told “a decision will be made tomorrow”, of course tomorrow came and went and still no decision. Hello Frank. Estate agents shouldn’t accept an offer without confirmation that the prospective buyer has their finances in place. My daughter has made an offer on a property and the estate agent has asked for proof of deposit, it is being gifted by me, and mortgage in principle before the vendor will take it off the market. I can understand a lender and solicitor asking for this but an EA, is this correct? They have claimed it is law. I had 2 estate agents selling my property. For arguments sake Agent no.1 client put an offer in which I accepted. I was then informed by Agent no.2 that the same person who offered on the property had first viewed the house with them and as such they (Agent no.2) are legally entitled to the estate agents fee and not Agent no.1 because its all about first viewing and not who does the offer ? The sale has gone through and I haven’t paid either as neither can agree on who should be paid. Both advised me to withhold payment originally until dispute is resolved but I am now getting pressure to pay them. I have tried to do some research on this, but I have found nothing – anyone aware of this rule or can point me in the right direction. I am a first time buyer and trying to get on to property ladder to have a home for family of 4 in west Yorkshire area. My elder daughter 5 year old goes to reception school locally, so looking for houses around the school, over a year now. There is a high street sales agent who is very aggressive in selling properties, prefer buyers to sign up for surveying, mortgage adviser. If you do not opt, then you are not a preferred buyer irrespective of your financial eligibility. There are few instances where my self and my friend’s higher offers were not considered, eventually properties were sold for slightly lesser than what we offered. Its quite strange. Also, they always lie to you and push you offer higher price, by saying ‘there is a higher offer than asking price, would you like offer higher’. I did speak to my friends who own homes across north, south and midlands, they say its not ethical on sales agent’s part to push buyers to pitch higher price than the asking price. Well buyer would not like to pay more if there is work required in the property, if not straight away. I would not mind paying more if the property is immaculate and does not need any work for next 10 years. This agent does not like if a buyer has good knowledge of the area and has done good analysis before putting an offer. Its a digital age information is readily available on internet. As a buyer its your right to challenge the asking price and reason behind the arriving at that figure. If a vendor is expecting higher price is understandable, but sales agent has to be reasonable in admitting that and not pushing buyers to quote higher. Such actions of agents are pushing the property prices up. Sam, if no contract signed contact Trading Standards. If an estate agent comes to your home and you sign a contract you have 7 days before they can advertise unless you waive your right to 7 days to change your mind. I had this with an estate agent, although the price they sold it for was for a lot less. 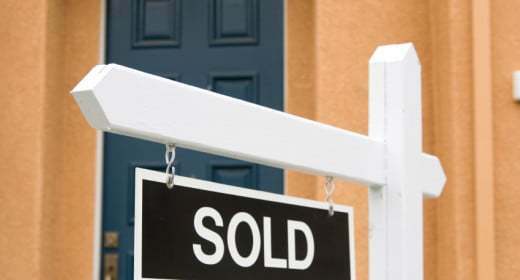 This may already mentioned this somewhere on here, but there was article on MSN recently that people were buying new houses and being told by the companies selling (and their solicitors) that they could in a few years buy the leasehold for a couple of thousand pounds. Buyers, however, found that the companies who built the houses had sold the leasehold so when they came to buy the leasehold they were being asked for vast sums. The couple in the article were asked for £44,000. Had estate agent round for a valuation. She gave a price, said she might know someone interested, arranged viewing next day. Told the buyers £25k more than she had told us. They came, then back again next day, put in offer of full asking price. No paperwork received at all from estate agent. No contract received – nothing. No photographs/ no measurements taken/ no advertising/ no marketing. Not prepared to pay £8750 for her making one phonecall – where do I stand/ what can I do? My house is being advertised on Rightmove. By chance,because I’d emailed the link to family members, I found out that my property’s URL had been changed. This meant that anyone who had seen and liked the property and saved the original URL, would be taken back to a page which says the property has been removed by the agent and may no longer be for sale. I complained and they said it was likely to be Rightmove’s fault, that Rightmove were very slow to answer emails and phone calls and that it was probably a glitch. The next day the URL had been changed again. As far as I know it may have been changed every day, making it impossible for people who ‘like’ the property to return via the old link. This would severely hamper follow-up enquiries. This would seem counter-productive for the agent, except that just two weeks before, I had a flurry of low offers from one person who was keen to seal a deal before it went online. The agent who acted on the potential buyer’s behalf put quite a lot of pressure on me to accept or divulge what would be my lowest acceptable price. When I told him I wanted the house to exposed to the wider market the offer was immediately withdrawn – odd behaviour as the buyer had been so keen and could have left the offer on the table to see if anyone else wanted it. I suspect that at least one of the agents is acting in the interest of the buyer, or worse, they could be involved in a property-buying consortium together. I’d like to know if anyone else knows of similar experiences, and if there was any investigation into these peculiar happenings on Rightmove. Also any advice would be very welcome indeed! I do hope this is helpful and I wish you the very best in taking this forward. My daughter and partner wanted to book a viewing on a house for sale. The estate agents have told them that they will have to have a appointment with their mortgage advisor cost £500 my daughter already has a mortgage in place and a certificate to prove it !! They only want to view the property there’s no saying they will like it this doesn’t sound right to me and the agent got a bit rude and said it’s what the vendor wants is this right ?? However please do not tar us all with the same brush. We work extremely hard in a very competitive market and on a lot of of occasions people do genuinely get out bid. Make sure you speak to your agent and don’t contact dozens of them, just choose a couple of agents you get on with and who seem helpful then let them know what you need. If I don’t have what a client requires I will get off my backside and go and try to find it for them. Most of all stay focussed and make sure you are prompt for viewings then the agent will try their best for you. I’ve been told that my offer won’t be put to the vendor unless I see their broker to qualify that I have an agreement in place (which I do). The agent insists that I won’t be sold a mortgage but I have to bring id to show the broker. Is this right? It sounds ridiculous to me. You are offering excellent advice and I am glad you make clear that not all estate agents get up to these tricks! My own estate agents are nothing like what you describe. Our first attempt to sell failed (not at all the agents’ fault – we all believed that the buyers were as keen as mustard and were good for it, but circumstances overtook them and they had to withdraw). As a result I lost my perfect flat. The agents have sold my house again just over two weeks after it went back onto the market and for the price I wanted. I am a complete novice at this, and they seem willing to be a resource for all sorts of advice about house buying and selling. At present I am not optimistic about being able to find the flat I want, but they are optimistic enough on my behalf for that not to matter. We agreed a sale and 3 days before completion the potential buyers pulled out citing tax problems and the severing of their relationship.We had in the meantime had a survey on a property we intended to buy and instructed a solicitor as well as having an asbestos survey on our own property done (at the request of the buyers who wanted a certificate indicating that no harmful asbestos was present .As you can imagine we were £1500 down at the end of th aborted sale .I feel we should have had some form of compensation ,th current system just doesn’t seem fair. Trust in your own instincts when selling your property. Have three estate agents round to value your house before putting it on the market. Have a look on Zoopla, (achieved prices for houses in your postcode). Do a bit of homework, research your area and look for the benefits, for example, good schools, access to local shops, bus, trains and airports. This type of information can be invaluable when selling a property. I have been accepted an offer of 51k on a flat of offers over 50k. It was originally offers over 55k but it was reduced. It went up on right move as under offer. Now over Christmas it’s been put back on the market for offers over £55k again. Can this be done?? I feel like I’m being really messed around! I have just received a bill from a estate agents asking for £720.00 before I have signed a contract with them. They are coming to take phot’s on Monday,is this normal proctice. They say it is a marketing fee. You might find it useful to check out one of our expert’s answers to a member’s question similar to yours. We agreed terms with a landlord ‘in writing’ to take the lease of a commercial building and then the file was taken over by another estate agent, who then started to invite offers from other parties, knowing full well we’d agreed terms. We were then pitched into a competition with other people and lost the property as a result. Is this legal?? Buying a property right now and finding that we are being pressured to speak to the agents mortgage advisor all the time. We have a mortgage in principle from our building society. I have no reason to get another quote. I don’t trust that the in house mortgage advisor and the agent aren’t in cahoots and it’s just a ruse to get as much money out of us as they can. my buyer turned out to be a phantom to boost the estate agents property sold image. Agents are actually responsible on settling for a price that is best for the vendor as they are the people paying our commission. Our duty to any potential buyers is to be polite, honest and as helpful as we can. However it is often the buyers who present the myriad of problems surrounding house sales. A tremendously helpful website! thank you.